March 15 is World Consumer Rights Day, and to the chagrin of many wayward companies in China, consumers take this day very seriously as they ensure Chinese companies are maintaining a high level of corporate social responsibility. Coming on the heels of Chinese consumer disputes with companies like Ctrip.com and Coca-Cola, the China Consumers' Association treats March 15 with special significance: consumer complaint hotlines have "3-15" as their prefix and billboards around China are emblazoned year-round with "san yao wu". World Consumer Rights Day has its origins in former U.S. President John F. Kennedy's declaration of four basic consumer rights: the right to safety; the right to be informed; the right to choose; and the right to be heard. "Consumers by definition, include us all," Kennedy said in his March 15, 1962 declaration to the U.S. Congress. "They are the largest economic group, affecting and affected by almost every public and private economic decision. Yet they are the only important group… whose views are often not heard." World Consumer Rights Day was first observed on March 15, 1983. Two years later, on April 9, 1985, the United Nations' General Assembly adopted the UN Guidelines for Consumer Protection, following a decade of hard lobbying by Consumers International, then known as IOCU, and consumer organizations. The guidelines embrace the principles of the eight consumer rights and provide a framework for strengthening national consumer protection polices. In 2009, Consumers International is focused on the marketing of unhealthy food to children around the world after their launch last year of the Junk Food Generation campaign. China is a great place to start, as more Chinese are spending time at fast food outlets and spending money on sugary, unhealthy beverages. Last year, the General Administration of Quality Supervision, Inspection and Quarantine of China published a list of unqualified food imported in January and February 2008, and a total of 593 food items, including Pringles and Coca-Cola, appeared on the list. The blacklist includes two batches of Pringles chips imported from the United States by Kang Rui Trade Company in Zhuhai Economic Special Zone. The chips are said to contain excessive potassium bromate, a chemical which may cause cancer. It also includes a type of Coca-Cola drink imported by Shanghai Xiaolong Information Trade Company that was found to contain too much benzoic acid. Coca-Cola was hit again with more consumer complaints just in recent weeks, as three Chinese consumers who claim to have seen objects such as black threads and worms in Sprite, a beverage produced by Coca-Cola, recently went to Coca-Cola's headquarters in Shanghai to ask for an explanation and compensation from the company. Chen Yi, the director Coca-Cola's public relations department, told local media that Coca-Cola is happy for consumers to use the law to protect their rights, and they will solve the problem according to the relevant laws and regulations of China. However, they regret that the consumers claimed such a large amount of compensation. But consumerism in China is much more than just worrying about unhealthy food and drink; consumerism has become a way for the public to help "green" China. Last year, a nationwide plastic bag ban started at Chinese retail outlets. The aim is to reduce the amount of plastic bags utilized in China. To make consumers quickly get used to the days without free plastics bags, 17 shopping malls and supermarkets in Beijing, including Wangfujing Department Store, Cuiwei Plaza, Wal-Mart, Chaoshifa and Wu-mart, jointly launched an initiative under the theme of "Using Less Plastic Bags and Protect the Earth's Environment". When that campaign started in April 2008, the Beijing Municipal Commercial Bureau said that it hoped that retailers in the city would help increase consumers' environmental protection awareness through various means, including posting a sign or placing an advertising board, at their venues. And consumerism in China is about safety. Automobile companies know how quickly bad press can spread, so they are becoming faster in their attempts to recall problematic vehicles. Mitsubishi this month filed a report to the Chinese General Administration of Quality Supervision, Inspection and Quarantine of China in which it says that it will recall 9,390 imported Outlander EX and Lancer EX cars for testing and maintenance. And last May, Mercedes-Benz China submitted a report to General Administration of Quality Supervision, Inspection and Quarantine of China in which it planned to recall about 1483 S-Class W/V221 Sedan cars from the Chinese market starting in June 2008 for a signal and actuation module problem. And consumerism is alive on the Chinese Internet. Chinese online travel provider Ctrip.com is currently embroiled in in a sticky situation with a Chinese consumer. Ctrip.com recently made a public announcement in which it apologized to a consumer surnamed Liang for selling him fake insurance policies and agreed to pay him CNY4,000 in compensation. 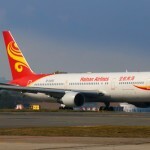 In late 2008, Liang found that the two sets of CNY20 accident insurance he purchased from Ctrip.com for a flight scheduled to fly from Sanya to Kunming were invalid and he then claimed CNY800,000 in compensation from Ctrip.com. However, last week, Liang announced that we will not take compensation money from Ctrip.com, and he will instead press for a court to settle the matter. Ctrip.com's problems highlight issues surrounding problems big companies face in China. While it is of course not a mandate of Ctrip.com to sell fake insurance policies, one of their suppliers provided the fake product, which brought bad karma back to Ctrip.com. The lessons: companies in China must maintain a high level of vigilance over all their stakeholders to ensure problems like this do not develop and companies must constantly engage with their consumers to alleviate problems as they arise. The global financial crisis is placing cost control on companies. Unfortunately, some companies will translate this into generating unhealthy products, which in the best circumstances will lead to immediate consumer backlash, and in the worst situations lead to safety issues for the purchasers of those products. It is incumbent on all managers this coming year to keep a watchful eye on their suppliers and a keener view of how missteps with consumers can affect their company's brand. Though it sounds trite, every day should be World Consumer Rights Day.